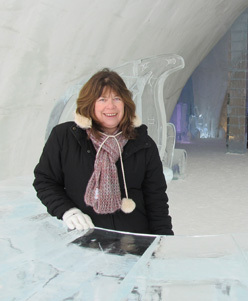 I am a Canadian Tourist Commission 'Canada Specialist' and I joined Premier Travel (Travel Centre) in 1997 as a travel consultant specialising in the USA and Canada, and am based at the Bedford Street branch. Prior to this I worked for Thomas Cook, mostly in Norwich but also in Gt Yarmouth and Lowestoft. USA: Alaska, Arizona ,California, Colorado, DC, Florida ,Idaho, Maryland, Massachusetts , Montana , New Hampshire, New Mexico, Oregon, Utah, Vermont, Wyoming. A short break in Norway and hopefully off to Jackson Hole in February! To travel on Amtrak's California Zephyr from Chicago to San Francisco via Denver and Salt Lake City. I first visited the USA 26 years ago and have returned almost every year since! It's my all-time favourite country. From Florida, New York and Boston on the eastern seaboard to California on the stunning west coast, the USA has something for everyone. A 'must do' is to drive the spectacular 380 mile Pacific Coast Highway (also known as Highway One) from Los Angeles to San Francisco, which is listed as one of America's most iconic drives; or the famous Route 66 from Chicago to Los Angeles and then on to Santa Monica and its pier. My favourite destination is Jackson Hole, Wyoming – in the summer you can enjoy a truly 'western' experience by staying at one of the dude or working ranches in the area. Saddle-up an Appaloosa horse (originally bred by the Nez Perce Indians), and experience trail rides overlooking the Teton mountain range, or enjoy cook-outs and BBQs. Yellowstone, the first National Park of America is only an hour's drive away and the 'Old Faithful' geyser erupts several times daily. Expect to see elk, deer, bison, bighorn sheep, gray wolf, coyote and of course bears! In winter, Jackson Hole is a world class ski resort and 'Corbets Couloir' has been voted the scariest ski gully in all of the USA! Over 7,500 elk over winter at the feeding grounds of the National Elk Refuge and you can get close to the elk herds on a sleigh ride. Watching the Yukon Quest dog sled race in Dawson City, Yukon. This 1,000 mile race is held every year in early Feb between Whitehorse, Yukon and Fairbanks; Alaska. I also loved observing polar bears in their natural habitat from a tundra buggy in Churchill, Manitoba. I never travel without my Sainsbury's red label teabags!